When Maude Pichon runs away from provincial Brittany to Paris, her romantic dreams vanish as quickly as her savings. Desperate for work, she answers an unusual ad. The Durandeau Agency provides its clients with a unique service the beauty foil. Hire a plain friend and become instantly more attractive. 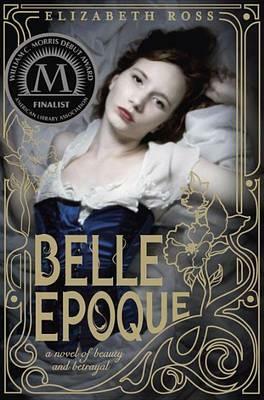 Inspired by a short story written by Emile Zola, "Belle Epoque" is set at the height of bohemian Paris, when the city was at the peak of decadence, men and women were at their most beautiful, and morality was at its most depraved. Both touching and fun, this is a story about many things true friendship, real beauty, being caught between two worlds and it will delight fans of historical fiction. "Publishers Weekly"
A refreshingly relevant and inspiring historical venture. "Kirkus Reviews"
A compelling story about friendship, the complexity of beauty, and self-discovery full of strong female characters. "School Library Journal"
With resonant period detail, elegant narration, and a layered exploration of class and friendship, this provocative novel is rife with satisfaction. "Booklist "
Much to offer a contemporary YA audience flirtation and match-making to tantalize romance fans prime book-club fare. "The Bulletin"
"This delectable Parisian tale left me sighting with sweet satisfaction. J'adore "Belle Epoque"! "-Sonya Sones, author of "What My Mother Doesn't Know" and "To Be Perfectly Honest""
"Ross offers not one, but two strong heroines in her debut novel, both navigating the choppy waters of the Paris debutante season, albeit from different social classes. Though Maude is the chief protagonist (and narrator), Isabelle is highly engaging as a young woman determined to challenge the expectations of her gender and study science at a university. Both touching and fun, this is a story about many things--true friendship, real beauty, being caught between two worlds--and it will delight fans of historical fiction."